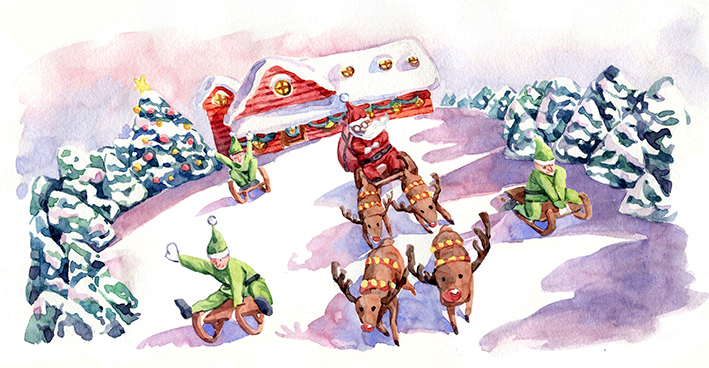 These illustrations were made to be used in a greeting card for Volksbank for the Christmas of 2013. Initially the greeting card was meant for print, though it morphed into an electronic greeting card later on. Characters and miscellaneous objects were painted on separate layers to be manipulated by third party. 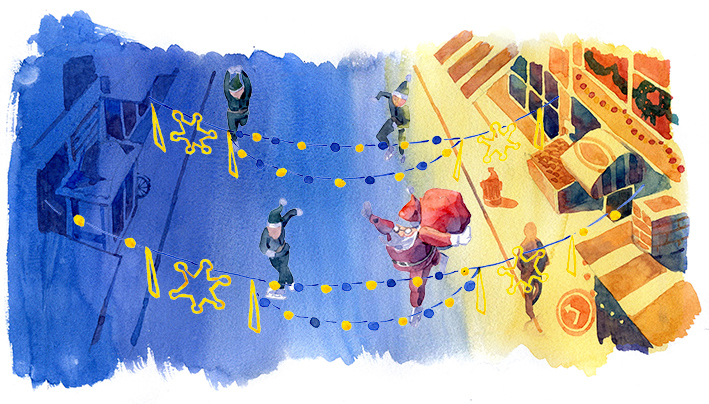 The project was assigned to me thanks to BBDO Romania.